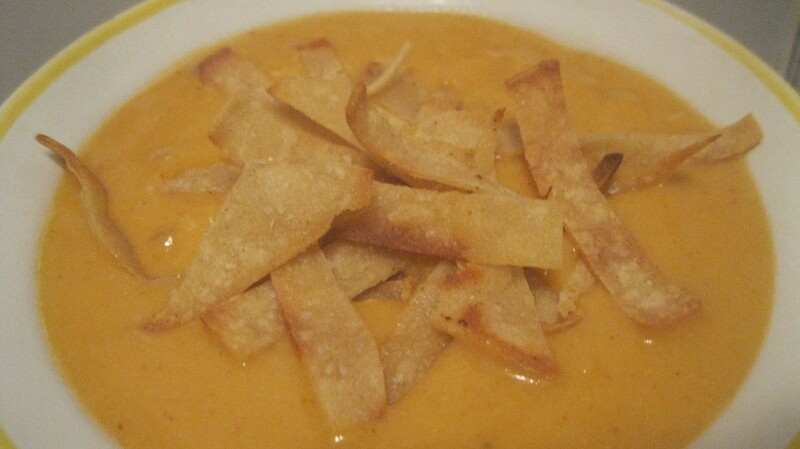 This is a recipe that I tried to taste like my favorite soup at a restaurant we go to. Surprisingly, it tasted better than the restaurant and now I can make it at home anytime I want it! 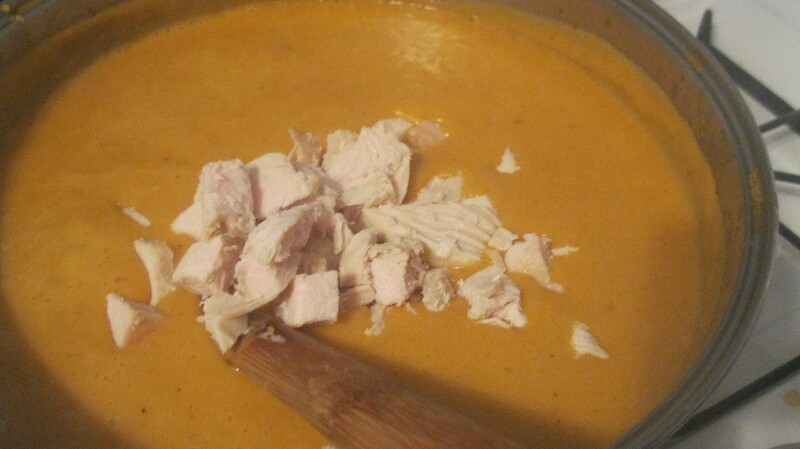 My kids love this soup and we all fight for the leftovers. Yield: A lot of soup! Source: I've been making it so long that I don't remember where I adapted it from. If you like it spicy, try a hotter enchilada sauce. Heat oil in large cooking pot, over medium-low heat. 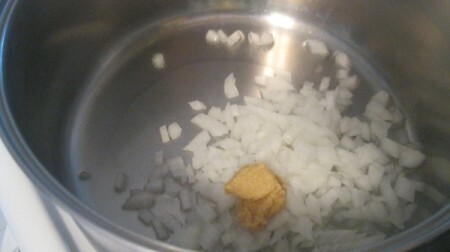 Add onions and garlic, stirring frequently. Cook until the onions are translucent, about 7-8 minutes. Combine masa harina with 3 cups of water and whisk until smooth. Add to pot. 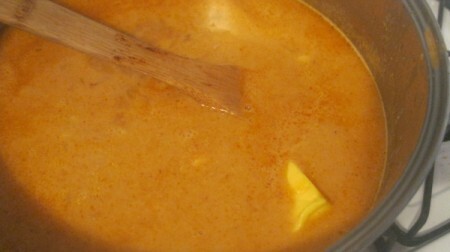 Add enchilada sauce, Velveeta, salt, chili powder and cumin. 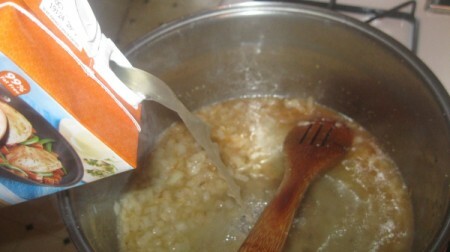 Stir soup until smooth. Bring to a boil. Simmer on low for about 25 minutes, stirring frequently, every minute or so. If the soup is a bit too thick, add another cup of water. If it's too thin for you, you can mix a little more masa with a little more water and add to the soup. 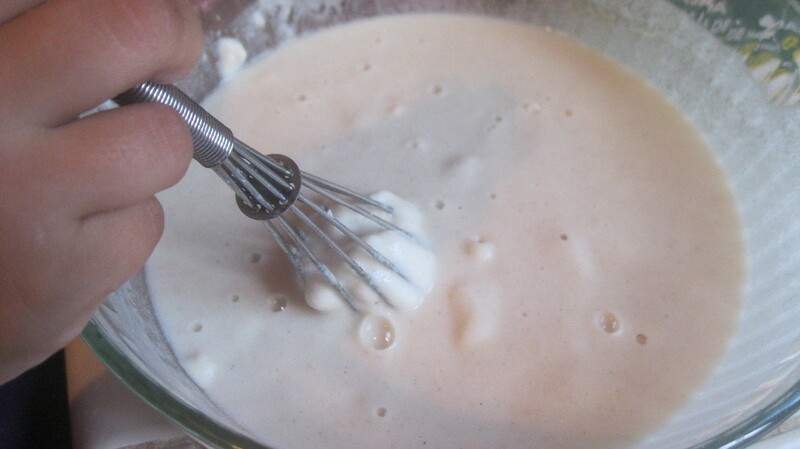 It really thickens up the mixture! During the last few minutes of cooking time, add your chicken. Garnish with cheddar cheese and tortilla strips, if desired. It's also delicious on it's own!